We are a small, no frills PR agency which enables us to offer an affordable PR service to micro businesses like Hairy Jayne to more well established companies such as Bilou. Choose one of our ready made PR packages that best suits your needs or 'Pick and Mix' to fit in with your budget. See the table below for an overview of each option. In addition to the services listed we can tailor-make your PR campaign to include add-ons such as press launches and events, consumer events with stand design and display, photographic styling, social media and business mentoring to ensure you are maximising your PR and business opportunities. 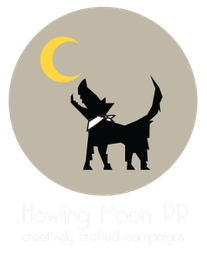 If you would like to find out which PR package or service would work best for your business you can fill in the enquiry form giving us some details about you and your brand or contact us to discuss your requirements and we can then advise accordingly. We are not a hard-sell PR agency and will try our best to offer you a service within your budget, so if you have a monthly spend in mind for PR we are always happy to discuss what we might be able to do within your spending limits. The ideal introduction for small companies who would like to see what PR can do for them - minimum three months. Perfect for contacting your local media - you'll get a press release which you can then continue to use. We'll make contact with some key media for you to get the ball rolling. A targeted starter PR campaign for a minimum of six months (it's important to remember that many publications are working at least three months in advance so you won't see results in those straight away). A more comprehensive option providing a carefully considered campaign and longer term results. Make a bigger splash with a full, customisable on-going PR campaign for at least six months to ensure your business is being seen in all the right places. Some businesses use Image Library PR services where you have to create your own press releases. We can offer a comparable service at the same price, this affordable option leaves us to manage your PR while you run your business. We are proactive in promoting your business as well as supporting your social media. Holding your library of product images ready to send to journalists. Monitor and respond to journalist alerts relevant to your product range – we subscribe to several journalist alert services and we’re also on the radar of journalists who contact us directly with their requests. Work with you on a PR calendar of events. Promote your products via competitions. Represent your business at trade shows and public events (extra charges apply*).